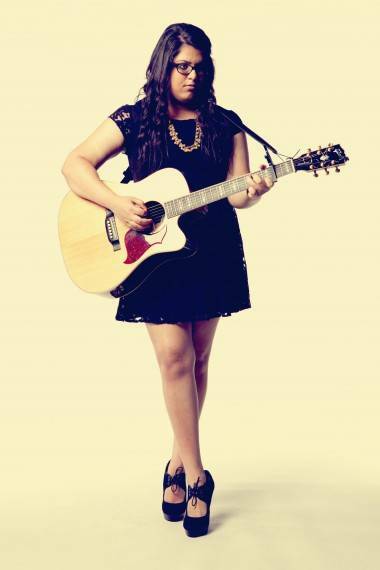 Natania Lalwani may only be 20, but you would never guess that listening to her music. 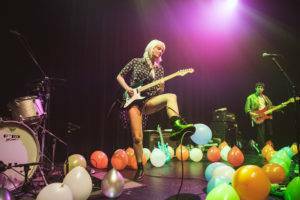 With a raspy yet playful voice, relatable lyrics and catchy melodies, the young up-and-comer evokes maturity beyond her years. Two years ago, Lalwani decided on a move to L.A. from Mumbai to pursue a career in music, and it appears to have been the right one. Her songwriting style perfectly reflects the laid-attitude of the Golden State, making her new home the ideal environment to continue her growth as an artist. One song that gives a good example of Natania’s approach is her first single, “Cherry Love”. The carefree and summery tune, off her upcoming EP Hope & Heartbreak, was also released with an animated lyric video. We recently had the opportunity to chat by email with the singer/songwriter about the influence of her adopted city on her songwriting, and other sources of inspiration. Brendan Fairweather: What artists did you grow up listening to and idolizing? Natania Lalwani: I never listened to the radio much growing up as there are only a few English stations in India. So initially I would love to listen to everything my mother would play which included Celine Dion, Simon & Garfunkel, Cat Stevens etc. One of my first music memories is listening to Westlife, a UK pop band, at one of the local music stores and immediately falling in love with their pop melodies. In high school I remember listening to Kelly Clarkson’s album Thankful with my best friend and becoming obsessed with it! I remember I knew all the lyrics by the end of the night! Slowly I started listening to everything and anything and my headphones were always glued to my ears – you can imagine this didn’t go down well with the family at dinner. But if I had to pick my favorite song while growing up I would have to say “Fix You” by Coldplay. That was like magic to me. It still is. BF: What made you decide to go to LA to continue your career? NL: If you told me 5 years ago that I would live in LA at some point, I would never have believed you. Once I was accepted into Musicians Institute, I just knew that I had to go. India didn’t have any western music schools and I knew if I really wanted to do this, and really grow and follow my dream I needed to be in LA. BF: How has the environment in LA affected your inspiration for song writing and work ethic? NL: There is something about LA that is absolutely enchanting. You meet so many people who have the same passion and the same goals, which is so encouraging! Inspiration in LA is around every corner! I recently wrote a song about this guy who frequently comes to this café I like to go to, and the guy has no idea! As for work ethic, like I said, you see so many talented people all around you trying to do the same thing and that really pushes you to give everything to your work. You have to be constantly trying to get better if you want to stand out from the crowd. BF: How did music school change your approach to music and songwriting? NL: Music school made me grow up as an artist in so many ways. I learned a lot about the business side of things that I would never have known if it weren’t for Musicians Institute. I really improved my musicianship with all the formal music theory and training. I was really trying to find my sound and my voice, and trying to find the little different quirks and inflections that made me different from any other singer. When I would write songs previously, I would finish my songs in a few hours and that was that. I learned that sometimes your best songs come to you in minutes while some need work. I learned never to settle for good lyrics or melodies but take the time and have the patience to dig deep and find the great ones! BF: Do you have a process for your songwriting? NL: I think my process changes all the time. A lyric will just pop in my head and I’ll quickly write it down or a melody will and I grab my iPhone to record it -very awkward in public, Haha. Or sometimes a friend will be talking and I’ll literally stop them mid-sentence to write down a new lyric idea. I’m also always playing around with my guitar and I’ll be singing nonsense until what I really want to say comes out! NL: Not at all, I think that’s a big part of growing as a songwriter. When I first started writing I would only write based on my emotions. My first song came out the first time I was really heartbroken. I would only write a sad song when I was sad, a happy one when I was happy. But slowly that’s started to change. The first step was me writing about events that were happening in my friend’s lives. I started using them as my inspiration instead, and now it’s any little thing could inspire me. I wrote a love song last night after looking at pretty string lights on someone’s balcony! BF: I recently played “Cherry Love” for a friend and she thought it was Ingrid Michaelson. How do you feel about these comparisons so early in your career? NL: This question just brought the biggest smile to my face! I am obsessed with Ingrid Michaelson! She is such an amazing accomplished songwriter; any comparison to her is the biggest compliment for me. BF: What three artists would you like to collaborate with most right now? Natania’s Debut EP Hope and Heartbreak is out Nov. 30. This entry was posted in interviews, the latest and tagged female singer songwriters, interviews, Music. Bookmark the permalink.